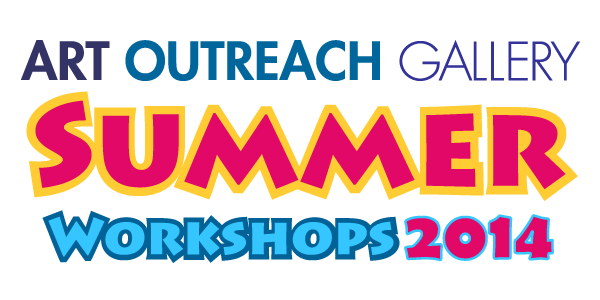 This year's FREE Art Outreach Gallery arts-centered youth summer workshops begin Monday, June 23 and conclude Friday, July 11. Workshop information, including, schedules, class information, instructors, registration forms and procedures, printable calendars and contact numbers, may be viewed, downloaded and shared via the LINKS at the top-left of this webpage. Printed 2014 WORKSHOP PROGRAMS and REGISTRATION FORMS can also be picked up the Eastwood Mall information desk near the mall "center court." ... See you at the workshops! Be sure to check this space for updates on workshop status.